irish horse had a great question in my post about differentiating between pairs of boots about actually IDing your boots. It’s not something I’ve ever done…the times I’ve lost a Renegade, I’ve always known immediately that I lost it (something about the pony hopping up and down because she’s wearing a boot as an ankle bracelet is hard to ignore), so could get off and fix it right away. So none of my Renegades have ever parted company with my horse. However, the couple of times Dad lost one of his boots, the horse stepped entirely out of it and we had to backtrack to find it. But I can definitely see the value of having some way to ID your boots…if you do loose one, hopefully some kind soul will find it and return it. Dad did this with one of his early pairs of Renegades…a pair of boots we still actually have. His method was permanent Sharpie marker on the inside sole of the boot. 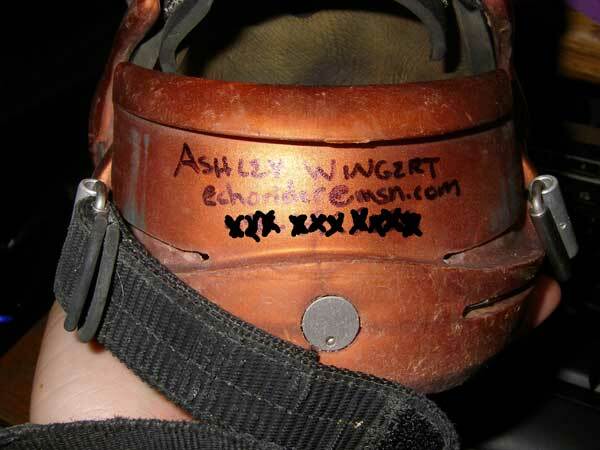 He wrote on it when the boot was brand-new and didn’t have an embedded dirt. I think this boot is probably four years old and has maybe 500-600 miles on it? worn off, between hoof pressure and the sand we ride in. 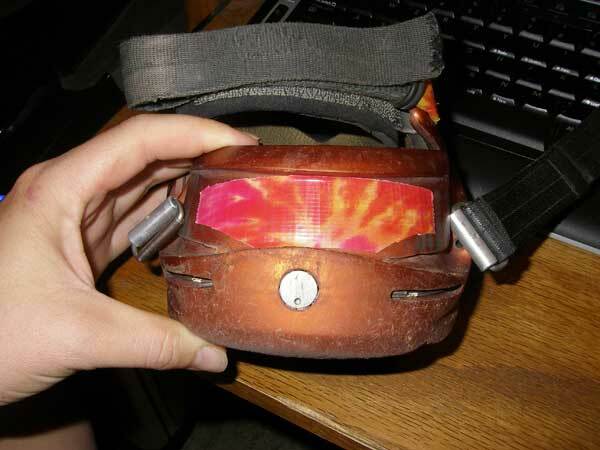 I’m going to explore another option: Duct tape! I grabbed an extra pair of Mimi’s boots (this is why I keep all my old/extra boots…endless experimentation!) and sat down to test a couple of ideas. First, I cut a piece to fit inside the channel where the toe strap sits. It’s thin enough that I don’t think it will interfere with how the toe strap actually fits. movable parts of the boot. 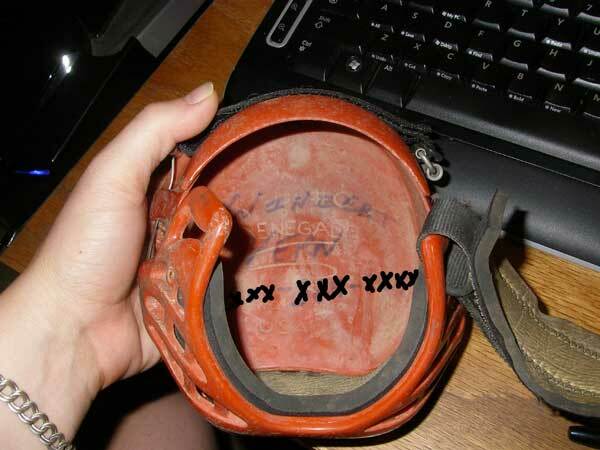 Again, will the Velcro smudge or rub the writing? My thought behind the duct tape is if it does start getting rubbed or smeared, you can remove the tape and reapply a fresh strip. You can only write over smudged duct tape so many times before it turns into an illegible blob. The only downside I can see to this location is once the toe strap is in place, you can’t see there’s anything written behind it…so if the boot comes off with the toe strap still in place, there’s no guarantee people will undo the strap and see the info. Step Two: I’m going to take these boots for a spin and see what happens. 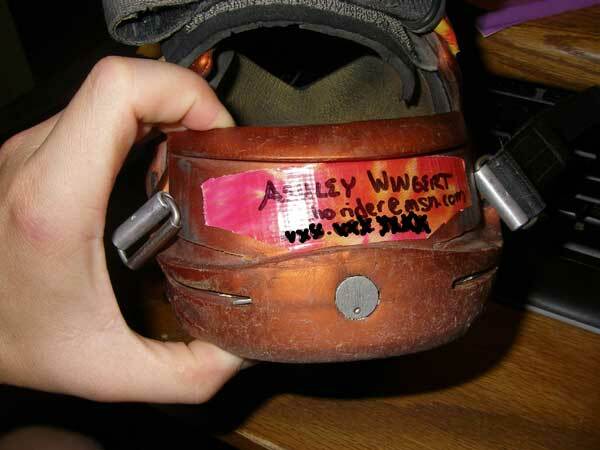 I’m still surprised at how well the writing on Dad’s old boot held up. We ride in a very dry, sandy environment, so I don’t know if mud and water will fade that writing faster or not. Stay tuned for Step Two and the results of this experiment…which will probably happen some time next week. ← Tips for Distinctive Boots! I'm not sure if sharpie on the inside will work, the boots can wet often when we go in the lake, etc, and I have to really scrub the mud out back at home. Good idea under the strap, I'll definitely try that, though I still want it somewhere conspicuous because more often than not a hiker might find the boot and not know where to look. Since my woodburning tool experiment was a bit of a flop, I may try one of those engravers, like for electronics. My horse usually manages to completely fling the boot off. They either stay on totally good, or are totally gone. No half measures for us! Since he's great barefoot, he doesn't even take a wrong step. Since one recently flew off, and though we searched the trail it was nowhere to be found, I'm now paranoid about losing another. I'm convinced it was abducted by aliens, who now have quite a collection of human socks and hoof boots. You've got sock gremlins, too? I hate those little buggers…I have a basket of mis-matched socks sitting in my laundry room right now. The suggestion was made on the other post to try something sharper than a woodburning tool, something like a dremel with the engraving attachment, and then staining the engraved part with some kind of darker paint or stain. I don't have a dremel, so can't experiment with that part, but thought I'd pass that along.